Martin Gibala PhD (@Gibalam) is a professor and chair of the Department of Kinesiology at McMaster University in Hamilton, Canada. 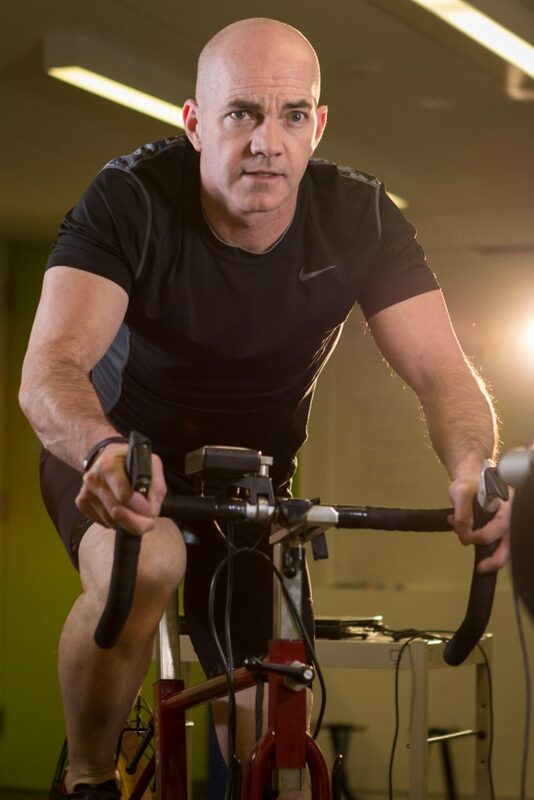 His research on the health benefits of interval training has attracted immense scientific attention and worldwide media coverage. He is the author of a bestselling book, The One-Minute Workout: Science Shows a Way to Get Fit That’s Smarter, Faster, Shorter. Martin has published more than a hundred peer-reviewed articles, is frequently invited to speak at international scientific meetings, and has received multiple awards for teaching excellence. In this follow-up episode, I took some time to digest Martin’s comments in Part 1, read more scientific literature, and use your questions and comments to expand on our first conversation. There has been a lot of debate in the high intensity strength training (HIST) community about whether or not high intensity interval training is an important adjunct for optimising cardiovascular fitness and health span. How important is HIIT if you’re already doing HIST? How long does it take for cardiovascular fitness to de-condition? How much can you improve your VO2 max and how much is genetic? I would say that HIT combined with moderate physical activity would be best for most with regard to musculoskeletal function & health . Good show . Good episode: he provided a lot of useful perspective regarding some of these contested issues. Awhile back, I started doing more cardio, partly as an experiment, and partly to insure that I was getting sufficient physical activity and sufficient cardiorespiratory work. I have continued to do cardio because I feel better, and it helps me manage my weight and appetite better. I like the perspective that, until the scientific evidence is more complete, you are better off doing a variety of things, just to be sure all bases are covered. Your question about a resistance training version of the VO2max test was interesting. There is a potential problem, though: I’ve seen studies which have compared VO2 demand versus heart rate for various training modalities, and they suggest that strength training produces greater heart rate elevation for a given amount of VO2 demand. That means that when strength training, your heart rate maxes out at a lower level of oxygen demand than you would reach with traditional cardio. Alternatively stated: even if you reach very high heart rates with strength training, that kind of training does not produce as much VO2 demand as traditional cardio, so it has less ability to produce adaptive increases in cardiac output. The difference has to do with the nature of the muscle contractions that are performed: traditional cardio has frequent, less intense, short duration contractions and relaxations, whereas strength training has longer, more intense contractions which momentarily occlude blood flow to the exercising muscle to a greater extent than traditional cardio. (The superslow protocol, which has you maintain continuous tension on the muscles for the duration of the set, is particularly good for producing prolonged occlusion of blood flow). This difference does matter in terms of the training demand placed on the heart. For the above reasons, it also does not necessarily follow that being beaten down and gassed after an intense HIT session means you have taxed the heart as hard as you could have. Kind of gets your attention, doesn’t it? Thanks Greg. Great comment as always. Massive fan of the show, listen to it all the time. With so many guests and so many points of view on HIT I sometimes get myself in a muddle and was wondering if others also find this. I have been training the HIT way for over five years now (after using more volume for years), I have read bbs and have drew bayes books along with others. I am a bit of a HIT nerd. But I have some questions maybe you can help me out with….. these questions are for max strength and hypertrophy. 1. Does the weight really matter if you reach mmf within 45-90 seconds? If all else was equal and I lift 50kgs for 60sec and reach mmf or 40kgs for 90 sec and reach mmf whats the advantage/disadvantage? Same result? If it doesnt matter then does keeping meticulous records matter so much? 2. I often get confused when i hear people like drew baye say explosivness is acheived with standard HIT but then listening to people on your show talk about power lifting routines make me think. Eg. If I want to train for a sport where i need to push off an opponent, eg in an explosive benchpressing move (pushing a player away to create space) would it be better to train like the powerlifters where i lift heavy but reach failure in 2 or 3 reps or follow normal HIT protocals? I get that conventional HIT improves explosiveness, but would power lifting give more? 3. Fatigue and when to train. I often am torn about when to train or knowing when my body is rested. I surf a lot. Surfing taxes my body a lot. Arms, legs, etc. (Think the paddling….lots of padding) However its not lifting heavy weights. If I waited for my body to be rested I’d rarley train. And, if you train to mmf, even if your body is tired from surfing or another activity, does it really matter? I find i cant lift as much for as long but if I make adjustments and reach mmf in the required time frame…….is it the same thing? Eg. My body has recovered from the weight lifting session from last week but its fatigued from surfing this morning……do i train?? I thought I’d put this in the comments to try and get yours and others view points, hope you dont mind…. Keep up the excellent job Lawrence! Thank you Ken! You’re not alone. I get confused all the time! 1. Good question. I suppose it depends on your goals, but if we’re talking about health and hypertrophy, than MMF in 45-120 is ideal. Beyond that and you’re a masochist ;-). However, some might argue that it’s good to keep a record of TUL / load / total time etc to ensure you’re getting proper recovery between sessions. 2. Explosive power lifting will just make you better at explosive power lifting. Again, what’s the goal? If just health and muscle gain, I see no value in this. If goal is to get better at power lifting then of course you need to practice the skill, but at your own risk! 3. I love this advice from McGuff: “DO NOT work out until you have accumulated more days above the baseline (energetic and itching to work out) than you have spent below baseline (sore, fatigued or grumpy).” In the context of your lifestyle, it sounds like a once a week protocol is ideal, and perhaps vary the volume over the course of the year and build in ebb and flow for additional recovery. In Body By Science, Doug talks about how to calendar your training for an entire year in this way, and highlights that overtraining is a process NOT an event. Dr James Fisher and James Steele have demonstrated in their research that over the frequency doesn’t seem to matter all that much, which is great because HIT can be moulded around your lifestyle to optimise recovery. Not at all! It’s a pleasure to read your comment and reply. I hope this helps. There are plenty listeners and experts smarter than me who may wish to add their thoughts. Nice podcast Lawrence. Great question when you asked if he had done resistance to in the true HIT style as McGuff. In my experience, people will generally say “oh yes, I’ve tried resistance training” but the truth is they have not followed a Doug McGuff or Drew Baye protocol. They have done traditional resistance training and in a lot of cases probably done that badly. The guy talking about higher heart rate for lower oxygen demand may have something. I get what he’s saying. I do however have a client who comes to my studio to train who wanted to improve his cycling. If you ask him, he’ll tell you that since training HIT style with me, his cycling has improved no end. He no longer gets out of breath so quickly. When he gets off the leg press, he has to rest to catch his breath. Anyway, nice job Lawrence. Thank you Jon. Good observation. I would like to see Martin be trained at Ultimate Exercise with Doug and get his feedback :D. Cool news about your cycling client! Super interesting! I think it’s similar to resistance training in terms of HIT vs HVT both works well provided your working hard enough and not doing too much to get injured. If your an elite aerobic athlete a combination of HIIT and LST is probably needed but I personally have had similiar results doing LST or HIIT once a week alongside once a week HIT. Sorry meant Liss not LST! Hi David, you mean the direct links to specific minutes in Overcast? I will bring it back, but it’s very time consuming. This might make you laugh, but I hired an excellent free lancer to help me and he made my blog post format 10x better, and I’ve continued using much of his ideas. But I got a bit reckless and burnt through a lot of cash with outsourcing during a time when I wasn’t generating much income at all! So I got a bit smarter and consolidated my operation to focus on the most important bits for now. Rest assured, I will bring those back and continue to improve the user experience for all of my work. Thank you for the feedback. I really appreciate it. A very enjoyable and thought provoking podcast Lawrence One size definitely doesn’t fit all, so if you think you can enhance your fitness levels and optimise the health benefits by varying your exercise program with different modalities, by all means try it. Thanks Malcolm. I agree. I think there is value in a mixed approach, but if time short, I think HIST is the most important. More debates to come! I noticed you opted in for “new posts by email”. Let me know how this goes and if you could forward me the email notification you get when I publish a new post that would be great. I’m keen to optimise the user experience for those that opt in this way.